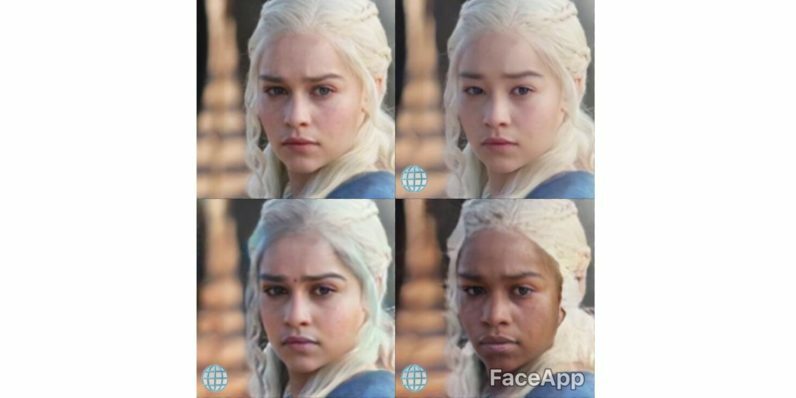 FaceApp, a selfie-morphing app, today introduced portrait filters titled “Caucasian,” “Black, “Asian,” and “Indian.” In an astonishingly inappropriate move, they do exactly what you think they do. FaceApp has been, up to now, most notable for its features which make users smile, or wrinkly, or the opposite gender — and we were okay with that. The app has done some fairly amusing things, such as create cheery portraits from dour subjects at a Dutch Museum. But having users change race is a little more thorny than any of those things. Given the history of using makeup to ape different races in an unflattering way, changing race in an app feels wrong. Needless to say, Twitter was not amused. Somehow I don’t think that excuse is going to fly this time considering they’ve explicitly named each filter after the race it imitates. Update 8/10: It appears the filters have been removed from the app. That was sure an … experience.